What content should be on the parents’ section of your school’s website? , and address their concerns on a dedicated page (or section) of your website. Here, we’ll cover parents’ top concerns and share a sample wireframe that you can use. Parents’ questions and concerns will change throughout the process, but most parents will want to learn about some (if not all) of these areas at some point. 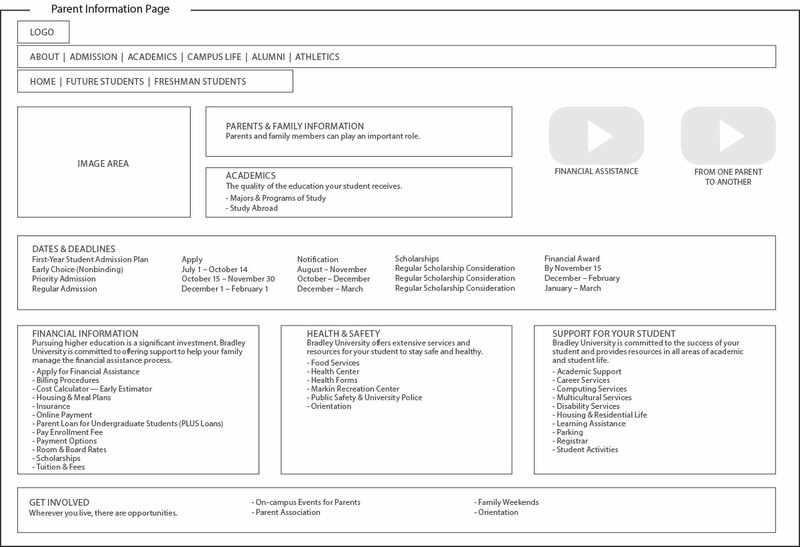 This sample wireframe shows how the parents and family section of your website can include information about academics, upcoming deadlines, financial aid, and other key topics. Shout-out to Bradley University for inspiring the mockup above.